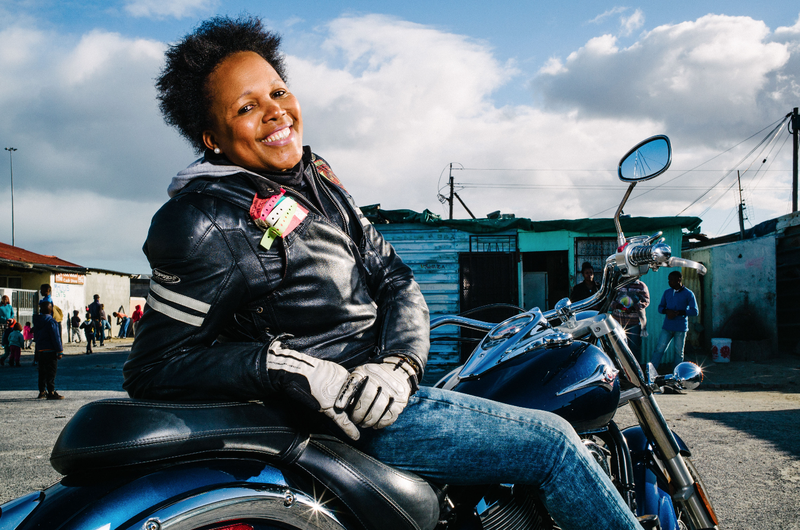 Pam Nyandeni is the only woman in a biking group located in Khayelitsha. She says she has never been made to feel different in the club. "When we get onto our bikes, we're all just bikers." Pam Nyandeni always makes an entrance. Wearing all black, her leather jacket emblazoned with badges and her name spelled out across the back, she cuts a striking image. But before her outfit, it’s the distinctive sound accompanying her arrival that captures the attention of onlookers and passersby. A black, female biker, she’s breaking stereotypes with every rev.